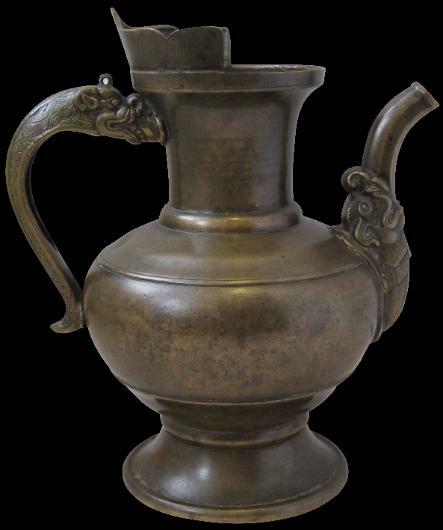 The kettle of brass or bronze has a bulbous body that sits on a flared foot and a neck that is in the shape of the curved brim of a Tibetan monk’s cap. 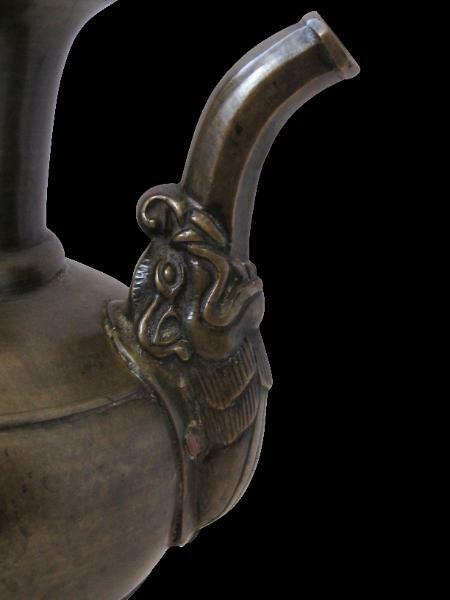 The spout is cast in the form of a bearded makara and the handle is in the form of a dragon. 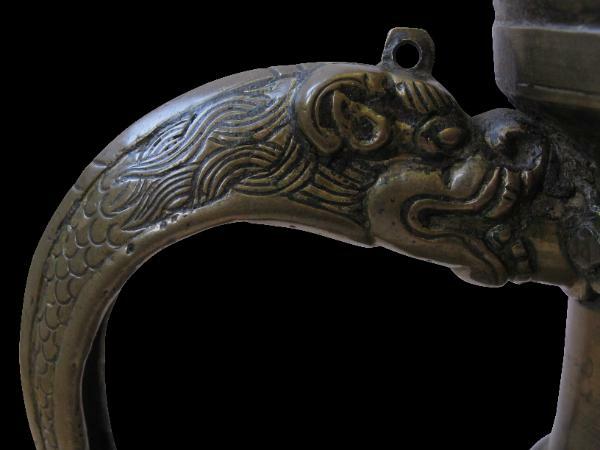 The handle has been further engraved to provide the dragon with scales and interlocking strands for his mane. The kettle has elegant proportions and an excellent rich patina. 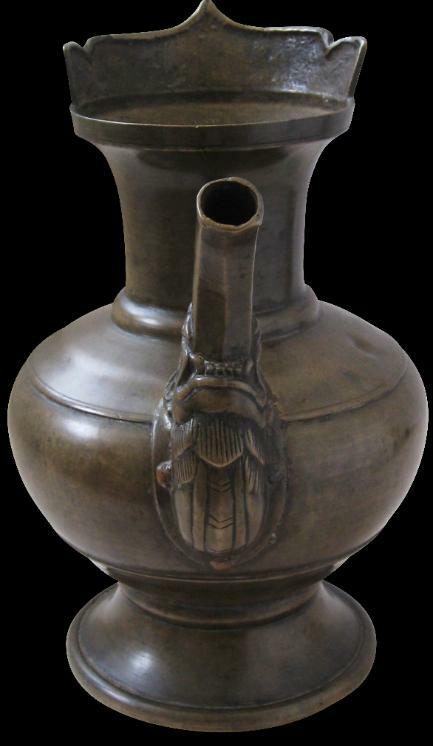 The handle has good wear consistent with many year’s of use. There is minor denting consistent with age and use. from a private collection, Australia.